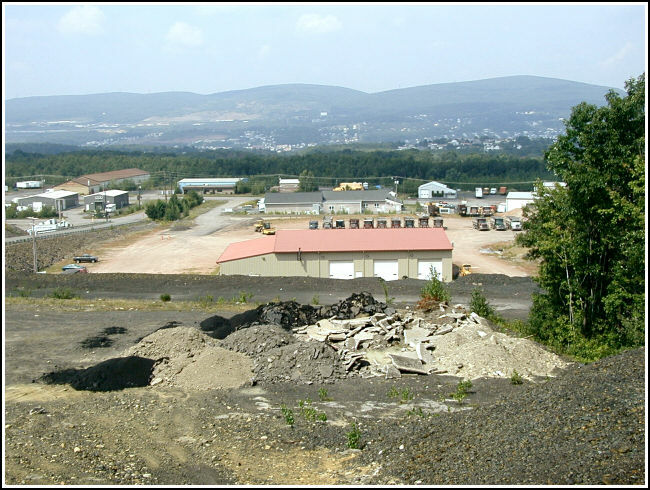 Dunmore; 4.1 mi NE. of; 2.7 mi N. of crossing of U. S. Highway 611 and D. L. & W. RR. ; 1.9 mi SW. of Jessup; 0.14 mi NE. of Underwood Colliery; 100 ft SE. 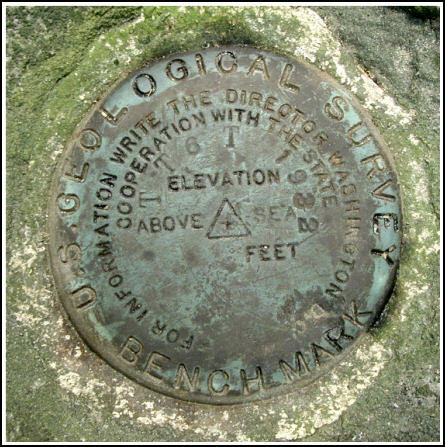 of track; in top of large rock; standard tablet stamped "TT 6 T 1932". Elev. 1036.479 ft. I took some time on a beautiful Saturday morning to search for a few USGS marks along one of old railroad beds between Jessup and Throop. I had no luck with the first two, which were listed as chiseled squares on culverts, but I did find the third - a disk. Even though much has changed, the directions led me right to the spot, and the large rock was visible as soon as I stepped into the woods, as it was the only boulder in the area. The coordinates I pulled from the map were within 26 feet of the mark. 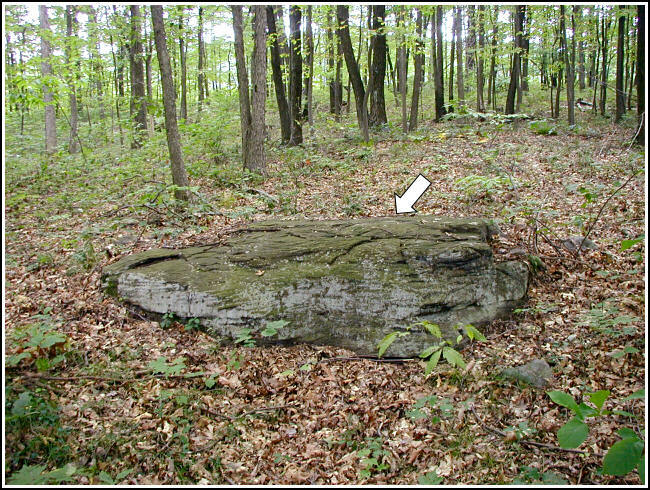 The boulder can be found by walking approximately 125 feet northeast along the old railroad bed from the corner of the fence shown in photograph #3 below, and then 100 feet southeast, straight into the woods. 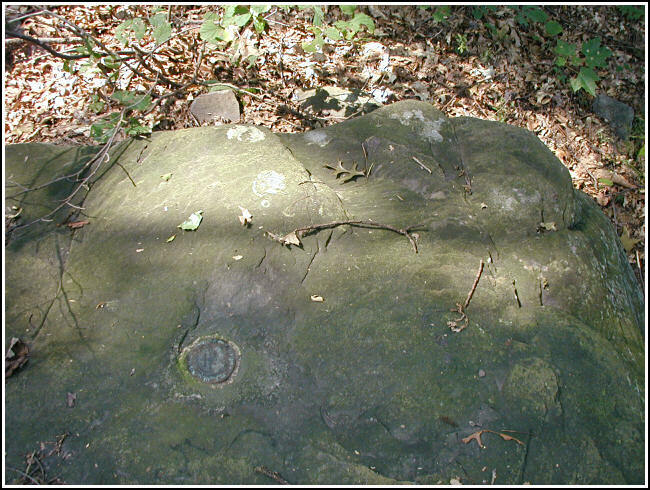 An eyelevel view of the mark on the boulder. The boulder is the only one in the immediate area (location of mark is indicated). Fence corner mentioned in the narrative (above). 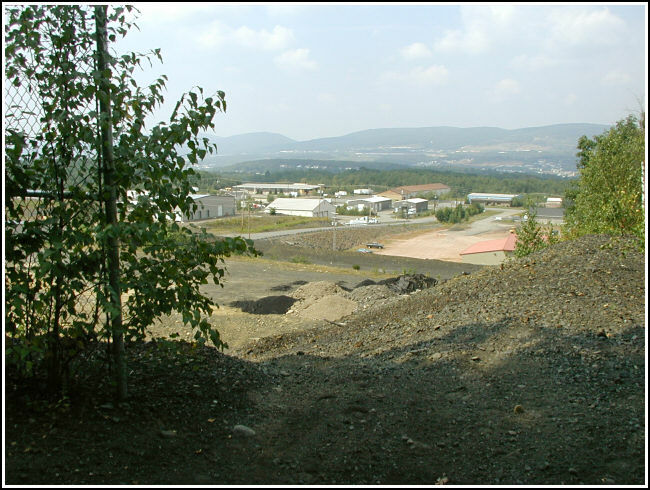 Near the site of the old Underwood Colliery.